‘The Fencer’ (Miekkailija) has been awarded with Special Recognition Award for Narrative Film at Coronado Island Film Festival in San Diego, US. The film is directed by Klaus Härö, written by Anna Heinämaa and produced by Making Movies. 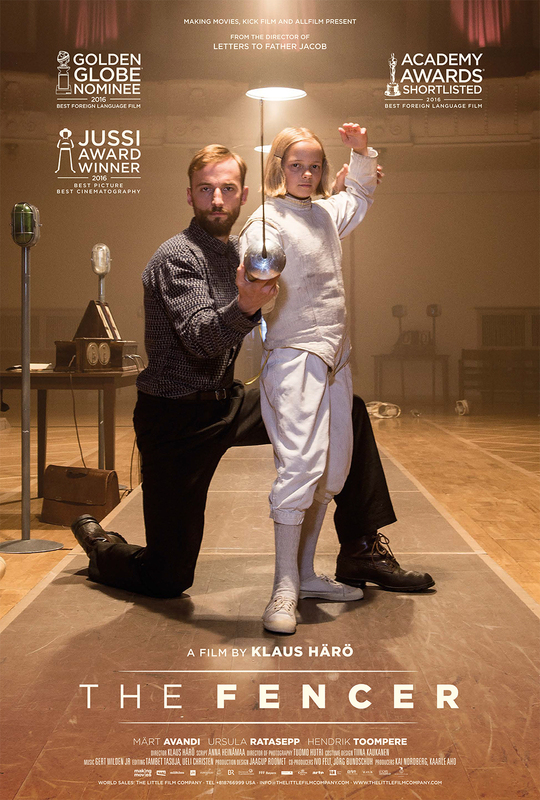 The jury chose to give ‘The Fencer’ the special recognition award because “the film was beautifully shot, beautifully acted and we found the story to be both important and engaging throughout” comments head of the jury for narrative films, critically acclaimed producer Lisa Bruce. The award is a significant recognition for the film which has been screened in over 40 cities in 19 different states around US making it the most wide-spread international film by an independent distributor. ‘The Fencer’ is distributed by CFI Distribution. “Often international films in other language than English only reach theatres in New York and Los Angeles. The success of ‘The Fencer’ is unique and proves that for a high-quality story an international market also exists” says producer Kai Nordberg. In 2016 ‘The Fencer’ was nominated for a Golden Globe and shortlisted for the Oscars. In Finland it won the Jussi award for Best Film of the Year. Klaus Härö is currently filming his latest film ‘One Last Deal’ also produced by Making Movies in Helsinki, Finland. ← THE GOOD POSTMAN (Hyvä postimies) is nominated for Best Documentary at the 30th European Film Awards!